Just because I have been loving experimenting with what I'm cooking - and actually trying to cook healthy, substantial meals unlike the typical student meals I lived off of in 1st year - I've got another recipe to share for my 'Happier and Healthier' series. 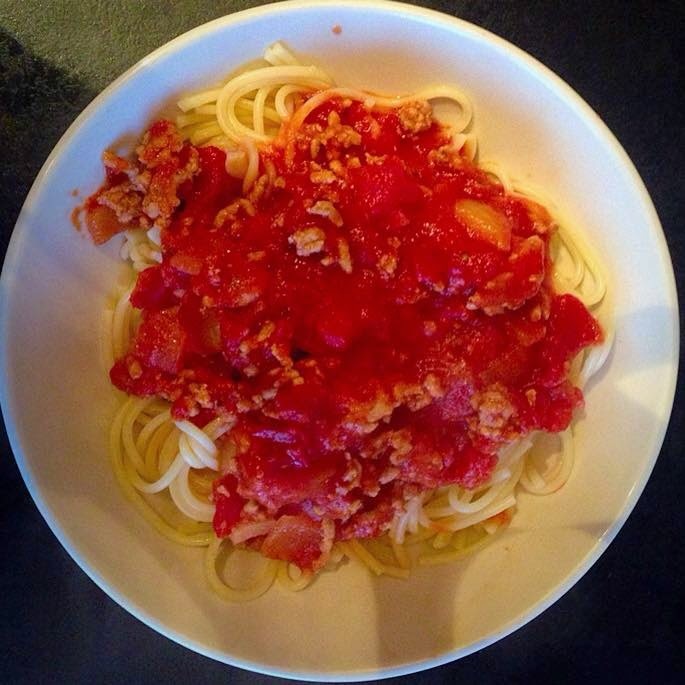 Spag Bol has always been one of my all time favourite meals, so trying my hand at it made me a little sceptical - could I really beat my mum's home made meal? Although I would never say I beat my mum at a meal, I've got to admit that I've come gey close to it. It's nice and straight forward. Start by boiling the kettle, and heating oil in a pan. 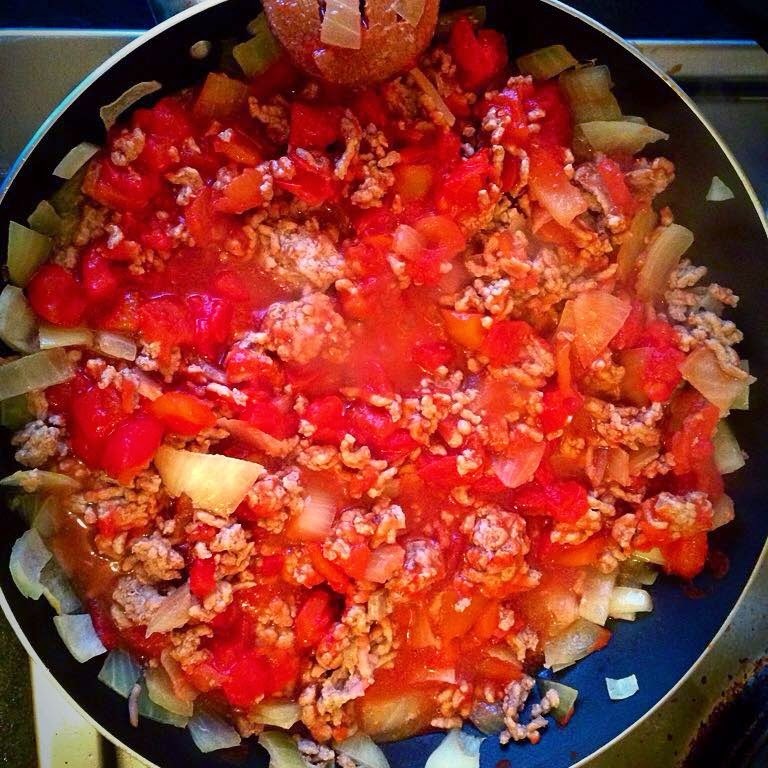 Brown the mince in the frying pan (preferably with high sides), and when its all browned, add in your chopped onion. Add the Spaghetti to a pan with the boiling water, this usually takes about 10 mins to cook. 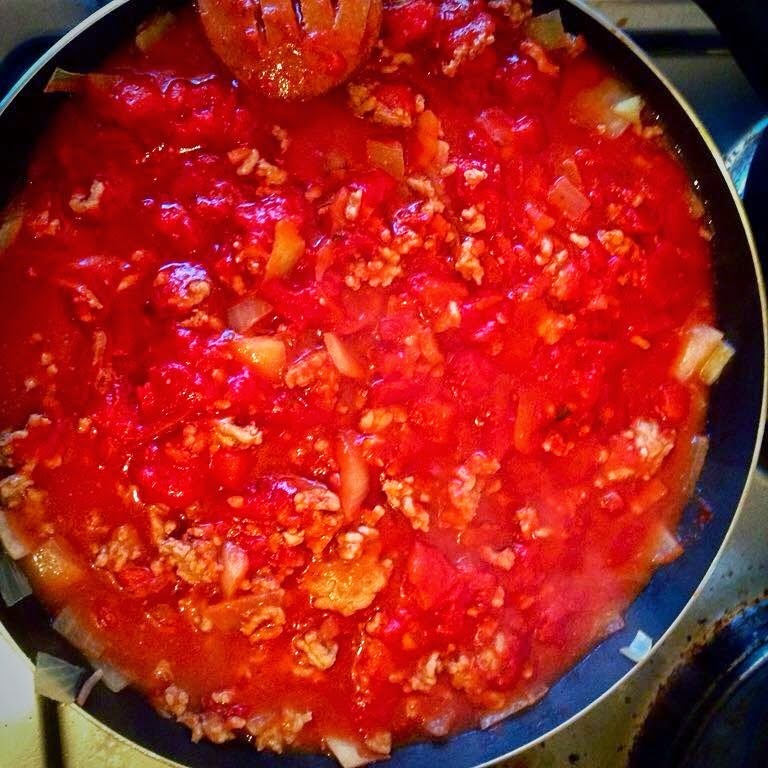 Throw the tin of tomatoes, your extra veg and the sauce to the frying pan with the mince. Allow the sauce to start bubbling, and the flavours to infuse, which should take 5-10 mins, and should be ready at the same time as the pasta. This makes enough for 4 portions - since I'm usually cooking for just me, I then freeze the extra mince into 3 separate containers so that all I need to do is defrost it for a meal over the next few weeks. 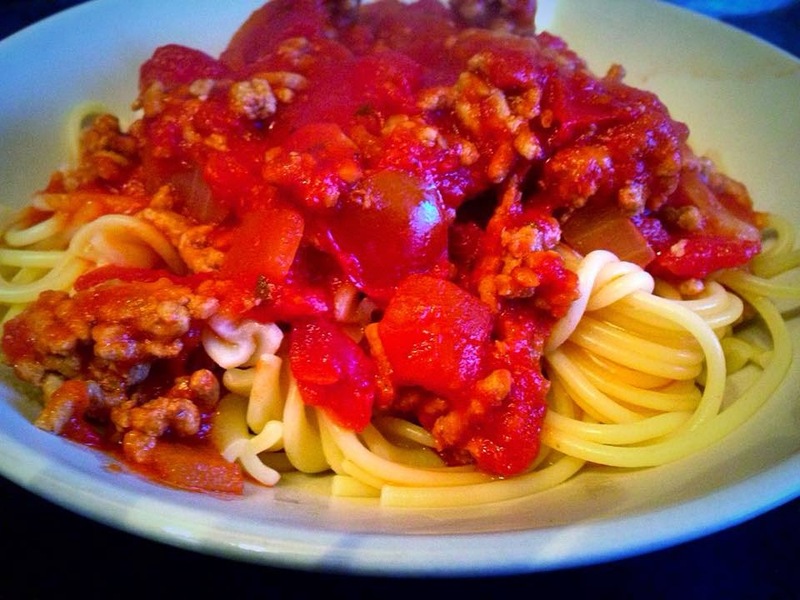 Really simple, quick and extra delicious! And by throwing in extra veg such as mushrooms, peppers etc, you're making a healthy meal for yourself. I usually try to serve along side a salad (or at least some lettuce) and if I had any cheese in the fridge - if I haven't already eaten it all! - then I grate some over the top of the dish. Do you have any quick and nutritious meals that I could try my hand at? Let me know! 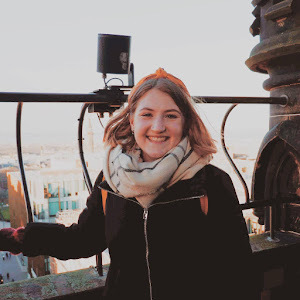 Be sure to keep up with all my 'Happier and Healthier' Posts by following over on Bloglovin!